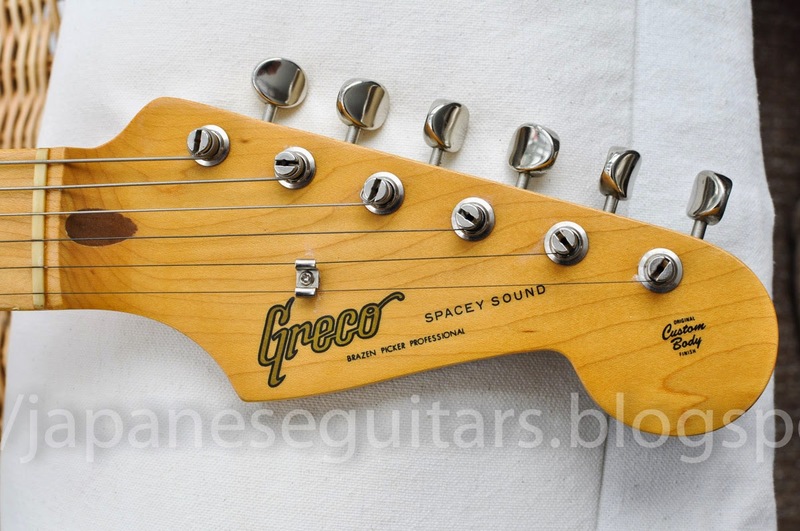 Japanese Guitars: Dead Stock Greco SE-500 "Spacey Sound"
Sometimes a 2 year old guitar can look 30 years old, and other times it is the opposite. This 1981 Spacey Sound Greco SE-500 looks like it just came out of the factory and has been on the display rack at Guitar Centre for just a little while. The nickel parts have almost no oxidation and the finish on the body is very shiny with only a couple of small scratches and dents. 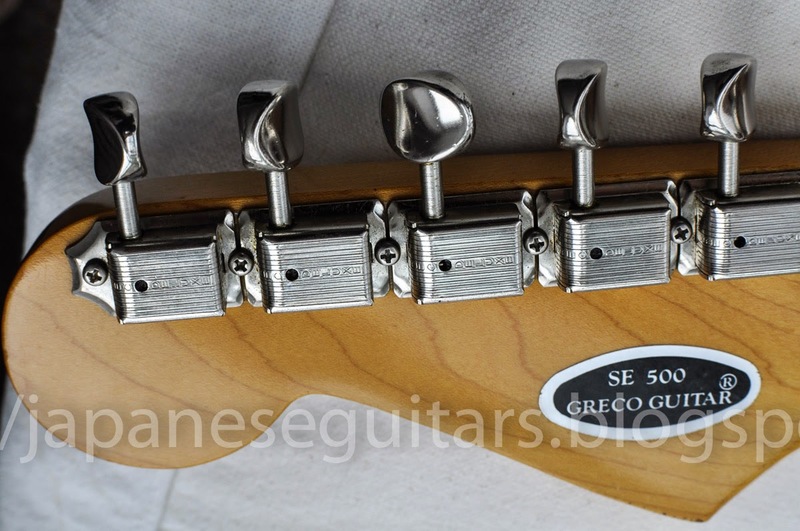 This is a later 1981 Greco which has the vintage Kluson tuners with the simple bushing. 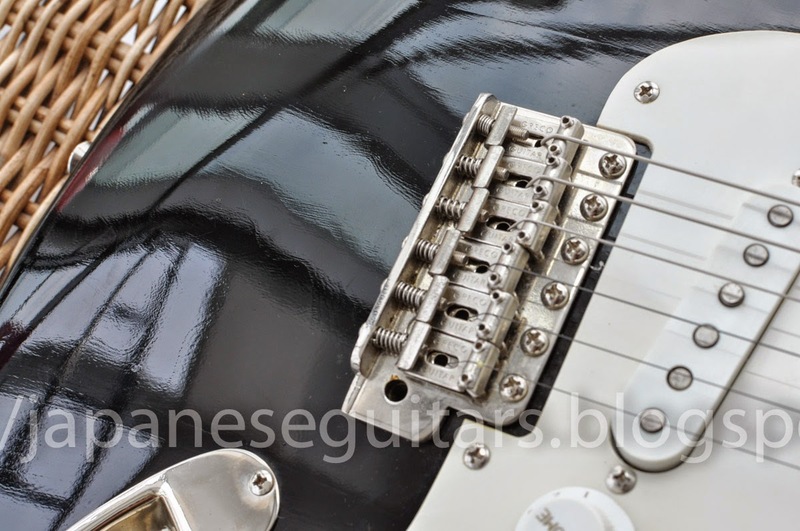 Earlier Grecos had Kluson-style tuners with a larger threaded bushing and a retainer nut. I am not sure if there is much difference in tone but it takes a 100 g or so off the weight. 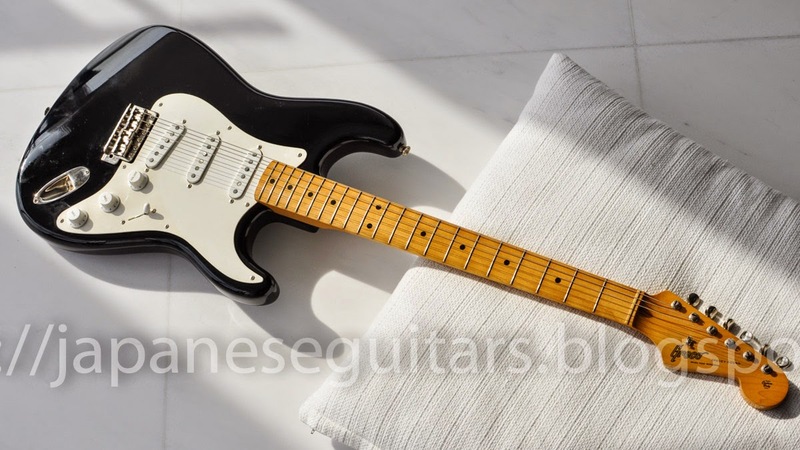 Thin poly finish on a three-piece Sen-ash body? 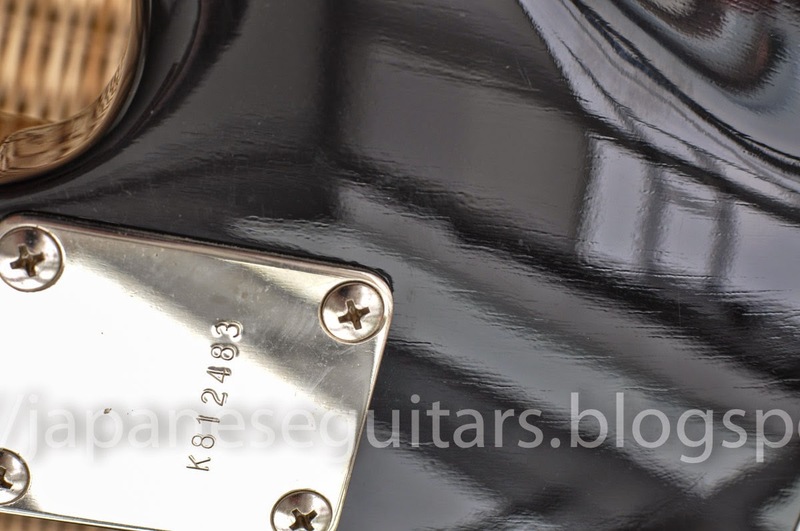 The benefits of nitro over poly finish are not much of an issue with this guitar. It is so thin you can see the growth rings of the body and the neck feels very nice. The poly is not at all like the candy-apple poly sheaths some guitars have. Greco-stamped steel saddles are a classy touch too. 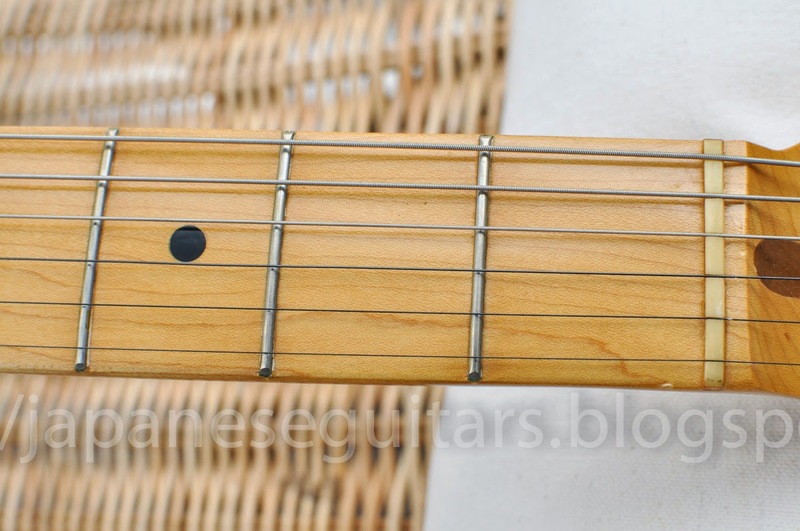 Vintage size frets, bone nut. The neck is a very comfortable shallow C-shape. 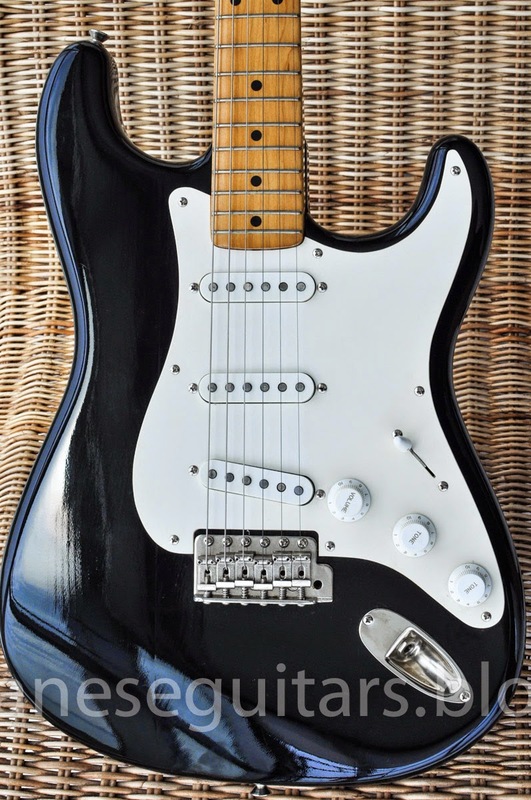 I had a 1980 SE-800 Super Real Strat and could not get along very well with the extreme V shape. This one is my ideal neck shape. There is a bit of oxidation on the frets but no fret wear visible. I have a black pickguard that will match up with the holes perfectly. I'd need to drill a few more holes into the body but this would be a great guitar to change into a D. Gilmour look. I love these pickups. The 2 and 4 positions have that classic strat "quack" that can be hard to get with other pickups. The middle pickup is not reverse-wound as far as I can hear so maybe that is a key point. But it IS just a lower-level Greco after all so I had to play the VanZandt side by side to see if I was being overly generous to the Greco on the sound and playability front. Result? 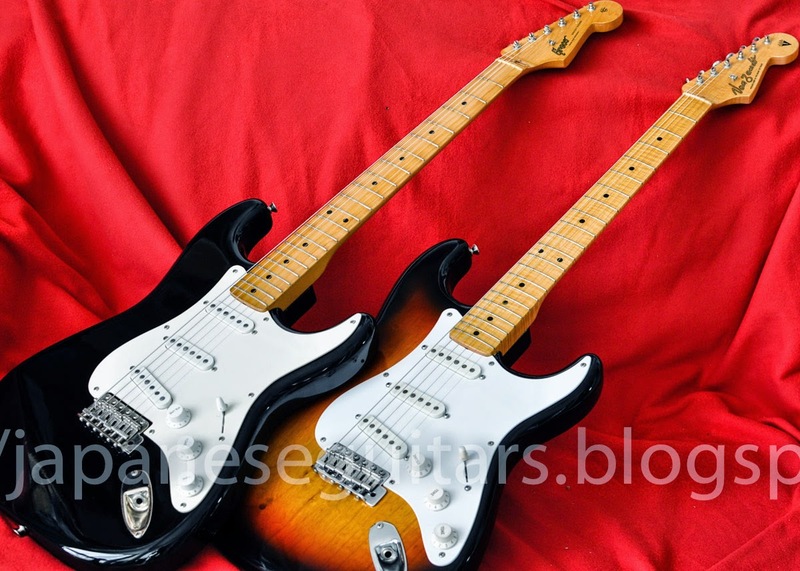 The VanZandt is a better guitar to MY preference for the sound of the pickups but they both play about the same. The VanZandt has a lighter body and nitro finish but for the price the Greco wins by around 5 to 1.